Start a new Cadillac question. 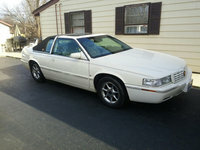 My 2000 Cadillac eldorado etc lost all transmission fluid as I was driving down the road. Why? Cadillac is among the most identifiable brand names on this planet. Got a great lawnmower with lots of features? Well, darnit, you've got the Cadillac of lawnmowers. Supreme jump shot? Yup, the Cadillac of jump shots. Cadillac recognizes this in their own company, advertising the Escalade as "The Cadillac of SUVs." Priceless. The first Cadillac was built and completed in 1902. In 1909, Cadillac was purchased by GM, and has remained a part of the company since. Cadillac continued to build cars throughout the 20th century, always keeping an eye on details and wherever attention could be paid to elevate its brand. Today, Cadillac has a well-rounded line of cars. In the 90s, Cadillac began to introduce a more affordable car, opening up their target audience to a younger crowd. The Catera was tagged as the "Caddy that zigs," and a marketing campaign featured young, female models zipping along in their Caddies. The CTS-V would soon be worked into the line to replace the ground-breaking Catera. The Deville the true Cadillac flagship came onto the scene in 1949 as the Coupe de Ville, and later had its name shortened to "DeVille." 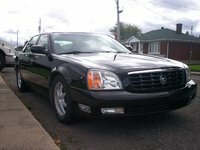 It remained among the most recognizable brand names in all of automotive until being replaced by the Cadillac DTS starting with the 2006 model year. Accompanying the DeVille and DTS was the Cadillac Fleetwood. The last year for the Fleetwood was 1996, and the car remains a classic until this day. Of course, Cadillac would never be what it is today without the legendary Brougham, a full-size luxury automobile. Produced only from 1985 until 1992 as the Brougham, the car had its roots as the Eldorado Brougham from 1965-1972 and the Sixty Special. The Cadillac Eldorado is yet another great Caddy name. It has had many face lifts, but always symbolized freedom on the road until production stopped with the 2002 model. For a sportier look and feel, Cadillac had its roadsters. The Alante symbolized the height of luxury and speed. Prodction for this vehicle was halted in 1993, and the world would have to wait until 2004 for another roadster from Cadillac. It was well worth the wait, and the Cadillac XLR had been a highly popular machine. Today, the name "Cadillac" is as synonymous with its line of luxury SUVs as with its legendary sedans and coupes. The Escalade, Escalade ESV, and Escalade EXT are much-beloved by a new generation which prefers high-riding SUVs while not sacrificing luxury. For those liking an SUV but not needing quite as much space, the SRX was introduced in 2004 as the crossover vehicle for the Cadillac line.